Some readers of this blog know I have a side hustle stringing tennis rackets, including for Wake Forest University’s men’s tennis team. In 2016, the team played in the NCAA Championships in Tulsa, Oklahoma. 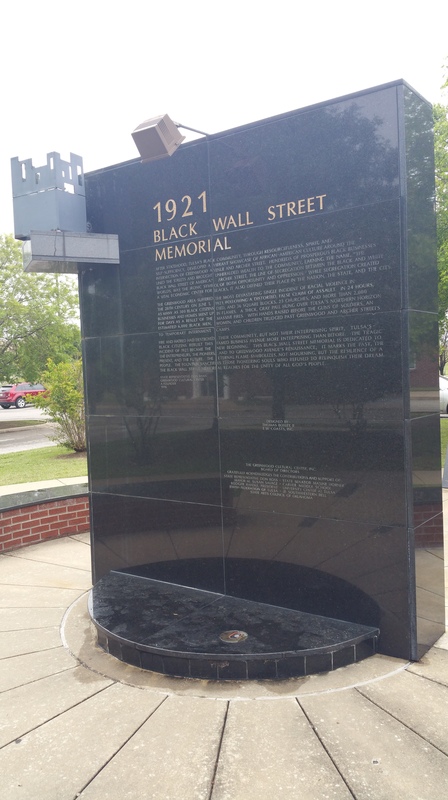 During my free time, my wife and I visited the site of the Tulsa race massacre of 1921 in which whites attacked black residents of the Greenwood District and destroyed what was known as “Black Wall Street.” It was a revelation. 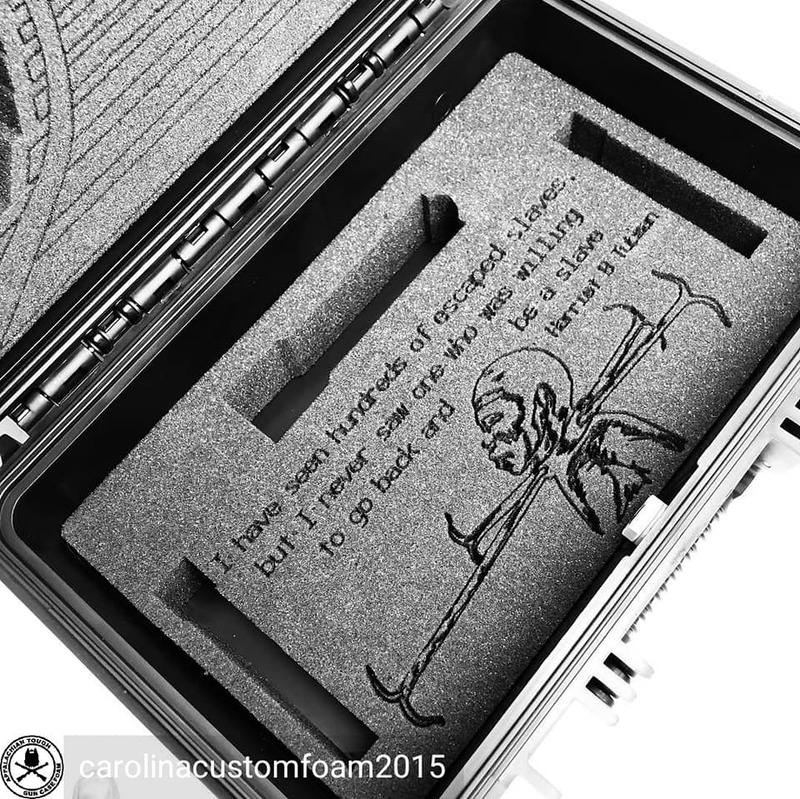 I regret, therefore, that I missed the SHOT Show unveiling by Kevin Dixie of NOC (No Other Choice) Firearms Training of The Truth pistol. 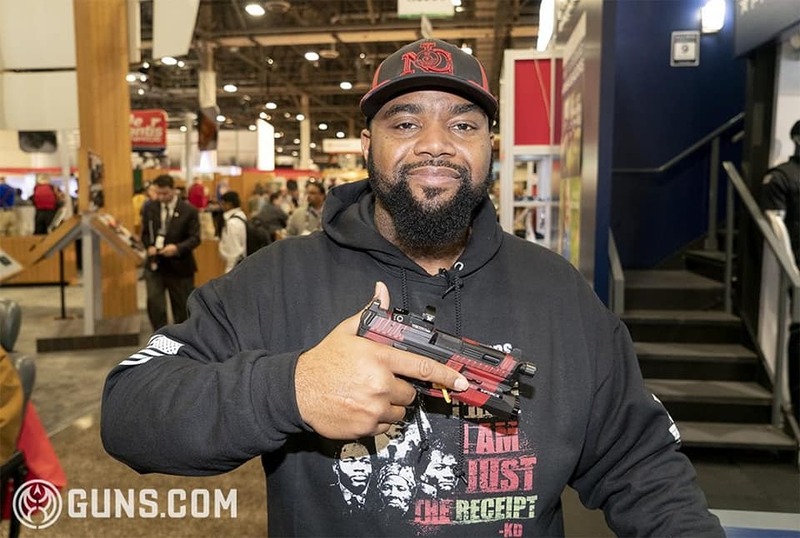 Photo of Kevin Dixie and The Truth pistol courtesy of guns.com. If you visit the NOC Training Facebook page you can learn much more about the gun and its purpose. 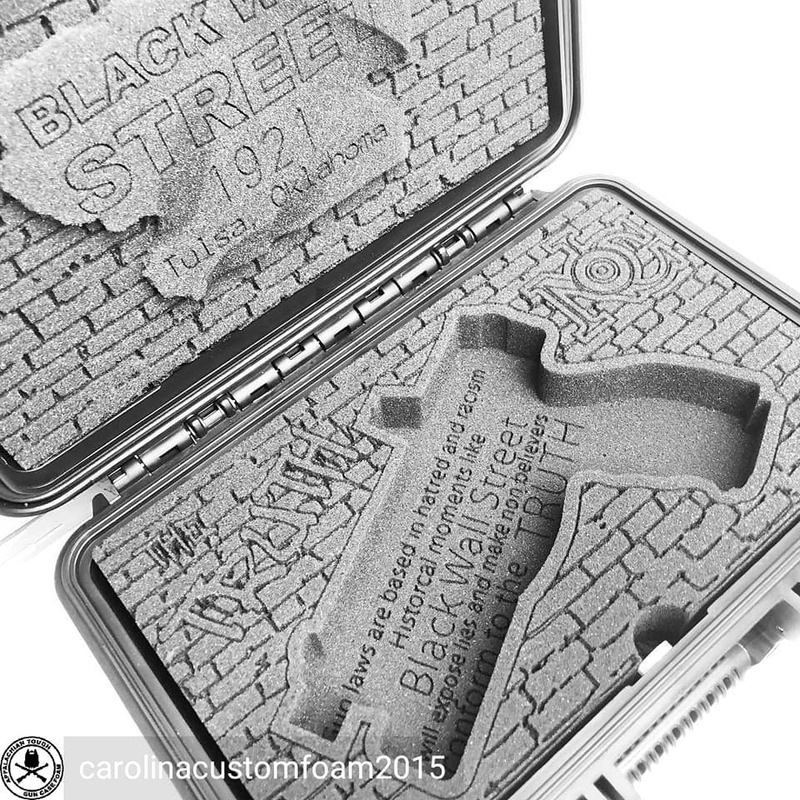 Suffice to say what caught my eye is the foam insert created by Carolina Custom Foam (just up the road from me in Black Mountain, NC) commemorating the Black Wall Street that was destroyed in Tulsa in 1921. Another case included a quote from Harriet Tubman, which reminded me of a point Maj Toure made in his SHOT Show presentation: “Harriet Tubman should be the symbol of the gun community – she is black and female.” But where has the gun culture been slow to evolve? On women and race. I am looking forward to following the work of Kevin Dixie more closely in the future, and maybe I will have a chance to see The Truth pistol in person at the NRA Annual Meeting in April. Tags: guns and race, Kevin Dixie, NOC Training, Tulsa. Bookmark the permalink.